I find it completely and wholly remarkable that Week 13 will mark the first game all season that I will be able to watch live on my television at my house in Seattle. The absence of DirecTV here in Queen Anne plus my outrageous travel schedule has meant that even though I’ve actually attended four NFL games this season, I haven’t ever happened to be in C@L when the Birds played on of their national games. I’m not unexcited about this morning’s affair. I’m admittedly under the weather and have a bit of the Typhoid Mary thing going, but that hasn’t stopped me from assembling a couple giant oversized sandwiches and inviting some locals to the ranch to watch the game. Since I live out here, I feel uniquely qualified to comment on the Nerdbirds. 1. The Nerdbirds play better defense than you realize. They’re not big, but they’re very fast and they like to generate pressure. On a sloppy field, I expect we’ll see lots of counters, draws, cutbacks, screens, all that. They’ll overpursue a bit, and they’re good at getting the QB and forcing turnovers. Let us be careful with that. With any luck they’ll be chasing the 36 Chambers of B-West all over the fresh sod. 2. I wonder how sloppy the field will be this afternoon. It’s new sod, and the last thing it needs is a lousy afternoon (sleet, rain, etc) for its first game. Expect lots of dudes to fall down and for balls to be dropped. 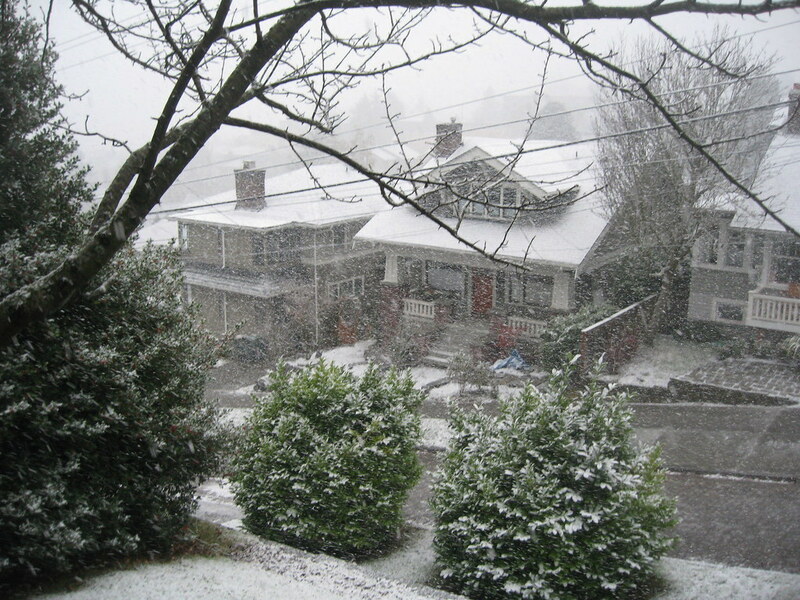 Also, if it makes you feel any better, we’re having a crappy day on Queen Anne hill today as well (see photo above). 3. The Nerdbirds throw a lot. 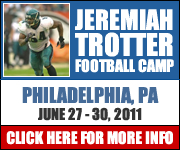 As in, they’ll line up in the single-back sets with 3 or 4 wideouts, and throw on first down a ton. In crappy conditions, expect a lot of dink and dunk from Hasselbeck. 4. Shawn Alexander is a complete puss and it’s actually a positive that he’s playing this week. I’ll actually tip my cap to the usually polite C@L fans for just killing Alexander this year. There’s LOTS of Alexander hating in the Puget Sound region. I mean, it’s not like the Dunavin vitriol, but again, for C@L, booing your high-end running back (who has, not coincidentally, started mailing it in since he signed his extension two years ago) is completely unprecedented. Alexander has become completely horrified by contact. Lots of sliding feet-first into tacklers. That’s some pretty weak sauce. Also his offensive isn’t remotely dominant any more. 5. If we assume that the Nerdbirds are a solid veteran team that’s won a lot of games in the past two seasons (in an admittedly weak division). They can handle the pressure of a sloppy, low-scoring game. Can the Eagles? I sure hope so. Call it 16-13 Birds. Off to hoagie prep. GO BIRDS.